Global Boarders was formed in 2005 to offer high quality surfing lessons across Cornwall to both the local community and visiting tourists. 14 years on, the new look Global Boarders Surf Co. Cornwall is not only one of the UK’s leading surf schools, we also run tailored school surf trips to the majestic shores of South Morocco, have a team of U16 surfers who compete across the UK, we run an online surf shop and our head coach Chris Brown is the Junior Team Manager & Coach for the English Team. A mouth full we know, but all of which we are very proud of! However, we will never forgot where we started and the values the company was based on, and that is providing all our customers with a high level of professionalism and unrivalled customer service. Whether you want a beginner surf lesson, a surf trip to Morocco, or a new custom surfboard, we will always be happy to help. 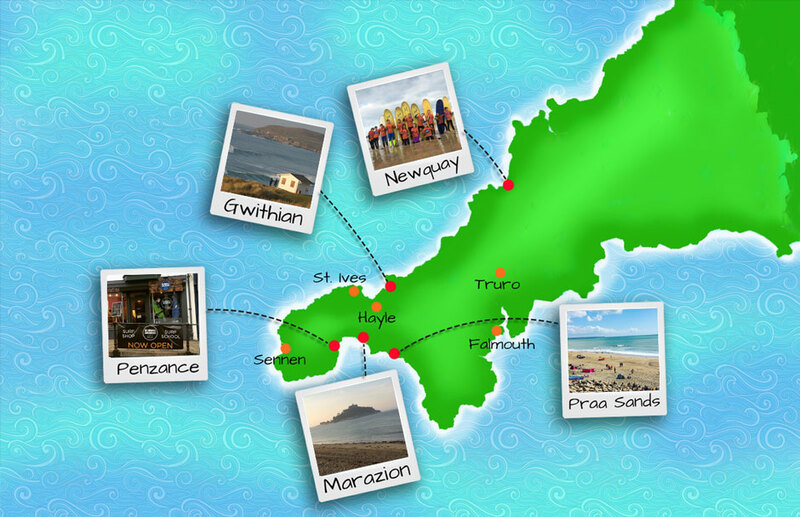 As a result of our work within the community and service to the leisure and sustainable industries, Global Boarders Surf Co. Cornwall has won numerous national tourism awards and is always striving to develop its surfing provision to meet the growing needs of the Cornish community and tourist industry. We are constantly working towards new innovative techniques to help improve not only our surf coaching, but to provide our clients with the ultimate experience ensuring that no detail is overlooked.